The FIA have changed the way that power unit penalties are applied in a Grand Prix weekend, in a bid to reduce the chances of drivers choosing not to qualify. In 2018, the qualifying hour 'show' was sometimes hampered by teams and drivers not feeling the need to qualify if they were already due to start from the back of the grid for unscheduled power unit component changes. A new rule brought in for this season was that any driver who has to take at least 15 places worth of grid penalties is automatically put to the back of the grid. 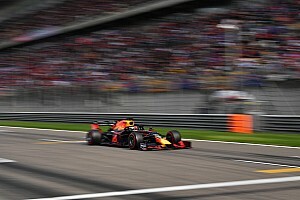 However, a supplementary regulation ruled that if multiple 'back-of-the-grid' penalties are in force for more than one driver, then the respective drivers will start in the order they took to the track in free practice one. Unfortunately, this led to a somewhat farcical scenario where drivers would park their cars at the end of the pit lane before the start of FP1 in order to get out on track first and claim the extra grid slot. 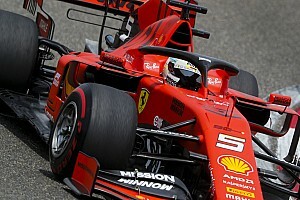 It also meant that the penalised drivers had nothing to qualify for; they would make an appearance in Q1 on tyres that were due to be handed back to Pirelli before parking up for the rest of qualifying, even if they progressed into the next phase. This would sometimes lead to scenarios where only eleven or twelve cars would be participating for a place in the top-ten shoot-out, such as the Japanese and Russian Grands Prix. In fact, the Russian Grand Prix had only ten drivers competing for a place in Q3. Three of the drivers had 'back-of-the-grid' penalties, whilst the Renault drivers remained in the pits in order to qualify 11th and 12th, giving them free tyre choices for the race. The FIA have recognised this issue, and have attempted to rectify the problem at the latest World Motor Sport Council meeting. For 2019, the starting order for the drivers who have 'back-of-the-grid' penalties will be determined in qualifying, so whoever finishes ahead in the qualifying result. 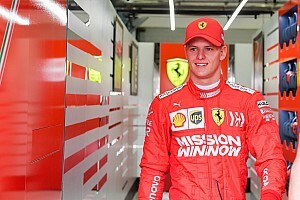 Other changes to come from the WMSC meeting include a slight increase in minimum vehicle weight from 740kg to 743kg - after teams unanimously agreed that they could not reach the target weight - and a lift on the CFD usage restrictions so that teams can increase resource to the 2021 rule changes.